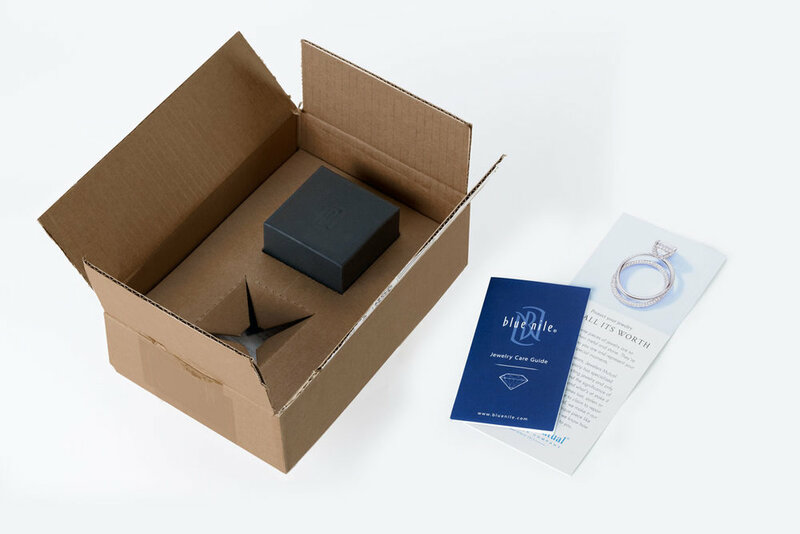 BLUE NILE | CREATIVE RETAIL PACKAGING, INC.
Seattle based Blue Nile is the world’s leading online diamond jeweler. The company offers thousands of independently graded diamonds and designer jewelry. Offering intuitive software and free, secure shipping, their corporate philosophy is to make the process of buying diamonds as simple as possible. 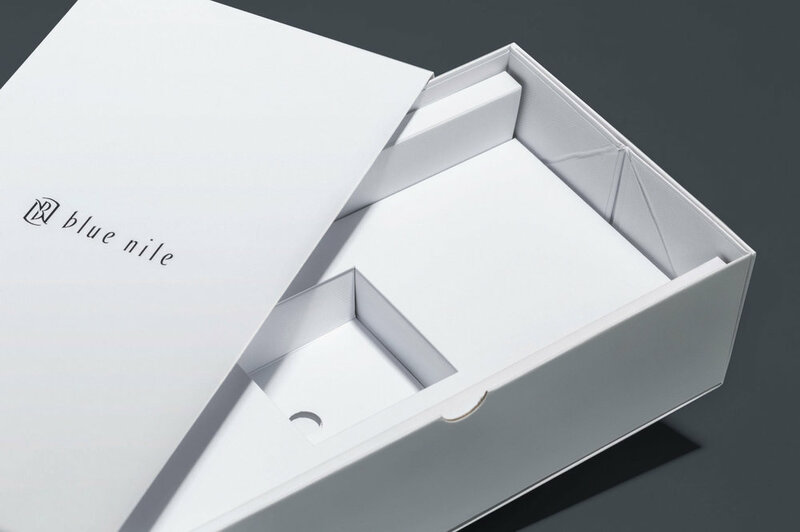 Faced with an increasingly competitive market, Blue Nile contacted CRP to elevate their ecommerce packaging to reflect their brand values: sophisticated and solid; high end but not haughty. The challenge also required that each component should work together seamlessly with minimal material waste and shipping costs. In response to these requirements, CRP developed a sophisticated, flexible ecommerce package. Our solution fit all of their materials snugly in a minimalistic, yet premium box, featuring custom materials and finishes throughout. Furthermore, in light of damage risks during shipping, CRP’s structural design team crafted a subtle mechanism inside the box to keep the jewelry in place during transit. The resulting package design presents a unique, elevated unboxing experience for the end-user – both from the perspective of the buyer and the recipient.